Earlier this year, the last remaining male Northern White Rhinoceros (NWR) died in captivity, nearly cementing the fate of this subspecies for extinction. In the wild, continuing threats of poaching, habitat destruction, and small population size have contributed to the rhinos' status as critically endangered. Yet, novel conservation efforts that make use of cryopreserved genetic material could save the NWR, and other threatened species, from extinction. 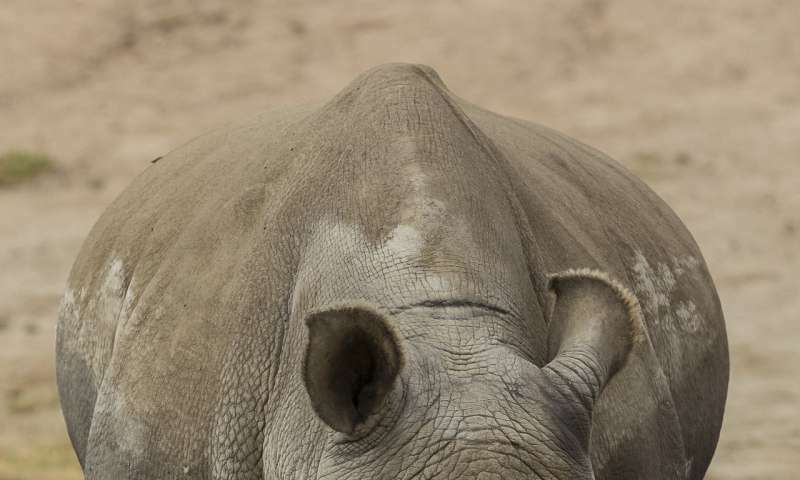 In a study published today in Genome Research, researchers investigated the genetic history of nine NWR cryopreserved cell lines compared to that of a closely related subspecies, the Southern White Rhino (SWR). Genome analyses demonstrated that the NWR and SWR represent two distinct populations that diverge nearly 80,000 years ago, each with fairly high genetic variation compared to other threatened species. Importantly, genetic analyses of variation and inbreeding facilitated identification of cell lines, which may serve as valuable pools of genetic material for genetic rescue. Lead author Tate Tunstall, of the San Diego Zoo Institute for Conservation Research, emphasized the importance of this finding, stating "the SWR went through a severe genetic bottleneck, but is now the most populous of all forms of rhino at ~20,000 individuals, suggesting that a genetic rescue utilizing these cell lines could be the foundation for a similar recovery in the NWR." This work presents the first genome sequence of the NWR and thus the current, albeit limited, gene pool of this species. Tunstall and colleagues propose that this knowledge can help guide a tailored recovery program for the NWR. "Our study demonstrates the emerging role for whole-genome-sequencing analysis to evaluate the potential for population recovery," said Cynthia C. Steiner, who directed the study. Furthermore, advanced sequencing technologies, cryopreservation efforts like that of the San Diego Zoo Frozen Zoo, as well as novel reproductive strategies can be developed to improve recovery efforts for the NWR and other species that face similar threats of extinction. Recent efforts to this end are promising. The first pregnant SWR from artificial insemination has been reported by the San Diego Zoo Institute for Conservation Research, and it is hoped that surrogate SWR mothers may someday give birth to NWR progeny. To be succinct, this subspecies is now extinct. IF, though human intervention it can be resurrected, it will be a token to mark what once was a viable population of rhino. They can never be reintroduced to their traditional habitat. This effort should be abandoned in favor an all-out campaign to save the remaining rhinos in Asia.